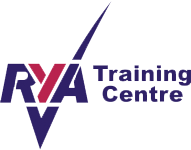 All our instructors are trained to RYA standards and properly qualified to deliver sailing and powerboat courses which cover the requirements of the RYA. Assistant Instructors and Dinghy Instructors are always supervised by a Senior Instructor whenever courses are being delivered and the whole team is managed by our Principal. If you see us around the club, please have a chat about any training you are interested in or email training@grafham.org.